It is a place completely renovated and redesigned, which reopened in the Palais de Chaillot, just weeks after the inauguration of the new Museum of Man. Of course, the spectacular view of the Eiffel Tower is still there, and the warm atmosphere that made the success of the restaurant. 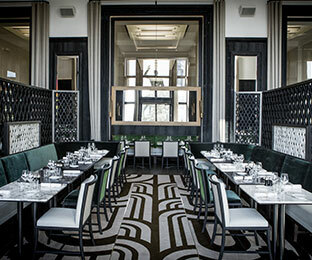 But the decor designed by Gilles & Boissier gives new life to this unique place, repeating the codes of Art Deco Palais de Chaillot. In addition to the usual menu, which plays on a contemporary and elegant Parisian brasserie, leaders in residence from around the world, will enrich their dishes-signatures. B.D.